Habs is an abbreviation of "les habitants," the informal name given to the original settlers of New France, dating back to the 17th Century. So it's a natural fit for the The Montreal Canadiens, established in 1909 and marketed as a French-Canadian hockey team. According to NHL.com, the first man to refer to the team as "the Habs" was Tex Rickard, owner of Madison Square Garden, in 1924. Rickard apparently told a reporter that the "H" on the Canadiens' sweaters was for "Habitants." Thisis not true: the distinctive C-wrapped-around-H logo stands for "Club de Hockey Canadien." The current team colors are red, blue and white. These colors have been used in combination since 1914. 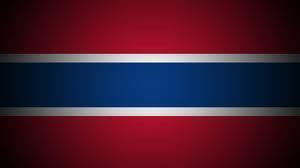 The Canadiens' colors are an important part of French Canadian culture. In the short story "The Hockey Sweater", Roch Carrier described the influence of the Canadiens and their jersey within rural Quebec communities during the 1940s. The story was later made into an animated short, The Sweater, narrated by Carrier. A passage from the short story appears on the 2002 issue of the Canadian five dollar bill. One of sport's oldest and most recognizable logos, the classic 'C' and 'H' of the Montreal Canadiens was first used together in the 1917–18 season, when the club changed its name to "Club de hockey Canadien" from Club athlétique Canadien, before evolving to its current form in 1952–53. The "H" stands for "hockey", not "Habs" or "Habitants", a popular misconception. According to NHL.com, the first man to refer to the team as "the Habs" was American Tex Rickard, owner of the Madison Square Garden, in 1924. Rickard apparently told a reporter that the "H" on the Canadiens' sweaters was for "Habitants." The home sweater is predominantly red in color. There are four blue and white stripes, one across each arm, one across the chest and the other across the waistline. The main road sweater is mainly white with a red and blue stripe across the waist, red at the end of both arm sleeves and the shoulders are also draped with red. The basic design has been in use since 1914, with the current version dating from 1952. Because of the team's lengthy history and significance in Quebec, the sweater has been referred to as 'La Sainte-Flanelle' (the holy flannel sweater). The Canadiens had a barber pole or "barber shop" design jersey for the year 1912–1913. The original shirt of the 1909-1910 season was blue with a white C, as can be seen worn by Georges Poulin. The motto is from the poem "In Flanders Fields" by John McCrae which was written in 1915, the year the Canadiens won their first Stanley Cup championship. The motto appears on the wall of the Canadiens dressing room, originally at the Montreal Forum and currently at the Bell Centre. Beginning in the 2004–05 NHL season, the Canadiens adopted Youppi as their official mascot, the first costumed mascot in their long history. Youppi was the longtime mascot for the Montreal Expos baseball team, but was dropped from the franchise when they moved to Washington, D.C. in 2004 and became the Washington Nationals. With the switch, Youppi became the first mascot in professional sports to switch leagues. The team has previously had children as mascots who would skate with the team during warm-ups and during intermissions. One notable child mascot was the son of player Howie Morenz, Howie Morenz Jr. Other mascots were typically the children of players or Canadiens management.